Innovation is key in online business. New developments emerge at breakneck speeds throughout the year. If you ignore these trends, you are going to be left behind. As an e-commerce business owner, it is your responsibility to keep up with the latest in e-commerce news. You can learn new ways to improve your business and gain the information you need to adapt practices to changing markets. Here is a list of some of the latest e-commerce news and trends, so you can soon experience increased online sales. E-commerce sites have been focusing on improving their shopping experiences. Specifically, they have been working to add tools that make online shopping more convenient. Integrated platforms like Ecwid are becoming popular because they simplify the process. These platforms automatically add services such as smart recommendations, printed shipping labels and live chat support. These are important tools that consumers are growing accustomed to. Your e-commerce website is likely to fall behind if they lack these features. Better online shopping tools are an important piece of e-commerce news to note. One of the main reasons people shop online is to avoid leaving the house. Shoppers simply prefer the convenience of using a computer over traveling to a brick-and-mortar store. This is why fast shipping is so important when you have a business that uses online selling. Standard shipping times can range from 5-7 days. The impatience that results from waiting an entire week can deter customers from shopping at your online store. As a result, faster shipping is becoming a significant e-commerce trend. Observe how companies like Amazon are providing 2-day shipping. Learn from this e-commerce news. Try to focus on faster shipping for your business, as well. E-commerce engagement through mobile devices is increasing exponentially. Experts predict that mobile shoppers will account for nearly 50% of all online customers by 2017. As a result, business owners are focusing more on creating streamlined mobile experiences. Many are working to improve apps and maintenance of mobile user data. This is a trend that encompasses all forms of commerce. It is important to make note of mobile availability as a growing trend in e-commerce news. Recent research indicates that so-called social media marketing best practices may not be that effective, after all. Up until this study published in the Harvard Business Review, marketing experts and PR companies believed that social media likes influenced other consumers that were part of a given “liker’s” network. However, this study has debunked that theory. Endorsing a brand by liking them on social media does not affect one’s behavior, lead to an increase in purchases or cause friends to shop with the company. Clearly, this is some of the most important e-commerce news to have come in recent history. Be sure to read the study yourself to stay current on social media marketing best practices for ecommerce. Coupon sites like Groupon have been instrumental in driving e-commerce websites. However, a lot of business owners have been shifting to flash sales. Flash sales are advantageous in that they create a sense of urgency for the consumer. Whereas Groupon deals stay for long periods of time, flash sales come and go within hours. The main target of these sales is regular customers who frequent shopping websites. This group is most likely to act on a sale that is too good to pass up. Flash sales are a growing trend in e-commerce news because they drive online businesses more effectively than long-term coupon deals. It is important for business owners to keep up with developing trends in e-commerce to ensure happy customers for their business. Learning how consumer needs are changing can help you to correctly adjust your own business. You can add convenient shopping tools to improve your customers’ shopping experience. You can also utilize flash sales to catch eager shoppers. These strategies can only help to increase revenue. 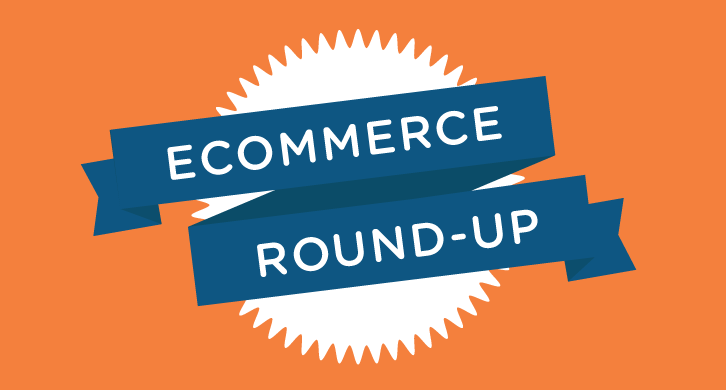 Learn from the e-commerce news trends listed in this post. Try to incorporate them into your business to see an increase in sales.